A Dexter marathon really knows how to make you procrastinate… and Freaks and Geeks… and My So Called Life. Quite the combination. The past two weeks I’ve been eating Mama Pea‘s Peanut Mmmm Sauce slathered on rice, chopped veggies, and beans. Honestly, I didn’t get tired of this dish. I ate it for either lunch or dinner almost every day. I also have a healthy addiction to Whole Foods Vegan General Tso’s Chicken. Even if you aren’t a vegan, you need to get to a Whole Foods and check that out. (You should also check out the Vegan Chicken Salad… just don’t buy it if they used crumbled tofu for the ‘chicken’, get the TVP chicken!). I had the opportunity to go to El Rey and enjoy a few appetizers and try a new beer. 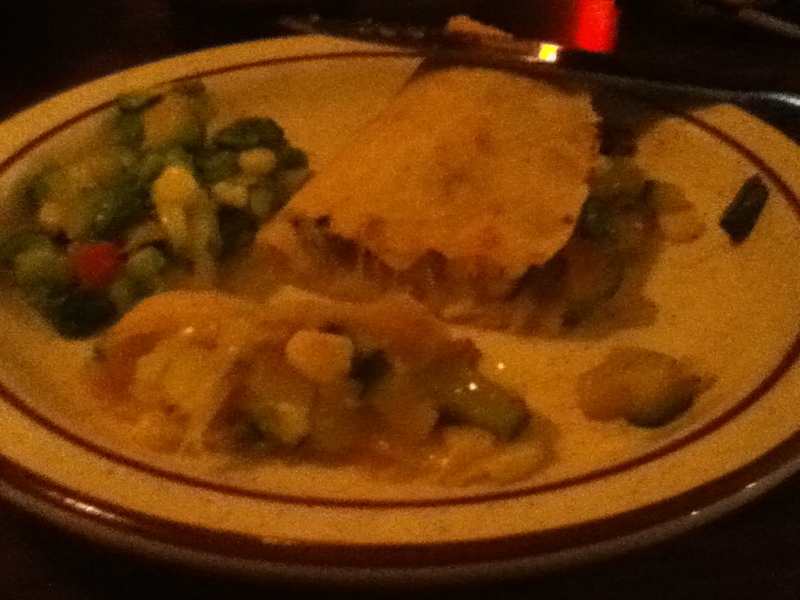 I enjoyed some salsa, guacamole, chips, and the zucchini blossom and corn quesadilla. Pictures below are dim and fuzzy… I did what I could! 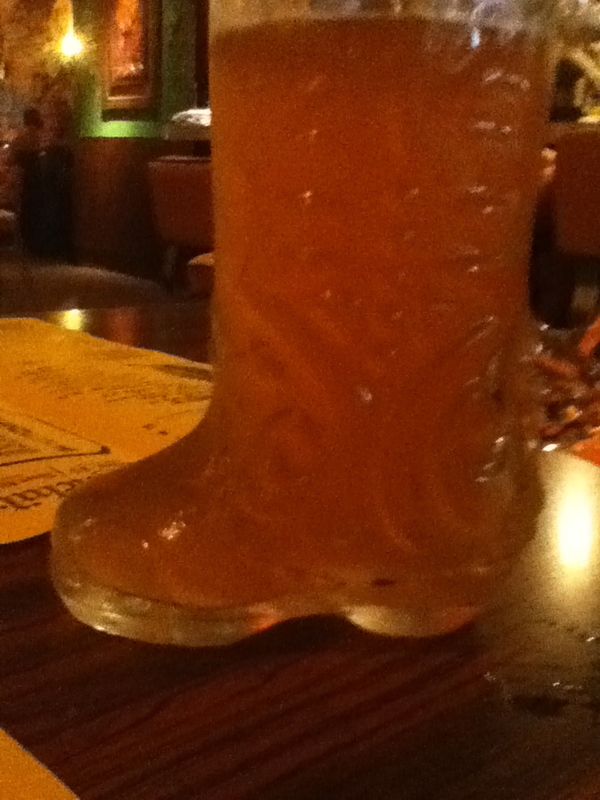 I enjoyed an Agave Wheat beer with my meal. The waitress compared it to Hoegaarden and Blue Moon, but I didn’t taste a similarity. I don’t particularly care for either of those, but this was delicious. I wasn’t the only one who wrote about coffee recently. The lovely Zahavah at Kosher Camembert had wrote about iced coffee as well! I mentioned that there is probably a science to why there is such a difference between cold and hot coffee. This was the best site I read from my searches, Cold Pressed – Iced Coffee by Kitchen Ninjas. Yesterday I enjoyed a Sunday brunch out at Home Grown Cafe in Newark, DE. The atmosphere is welcoming and caters to vegans, vegetarians, and omnivores. I enjoyed the vegan version of the Breakfast Quesadilla: tofu scramble, red pepper, onion, black beans, bacon, potatoes and cheese in a tortilla with some guacamole. This was absolutely delicious! This Saturday I am attending the Bethlehem Veg Fest! My brother and I are really excited about this because not only do we love food, but we really like supporting local (well, sorta local) businesses. I plan to hear at least one speaker and see some cooking demonstrations. I’m curious to check out the Bethlehem Brew Works Herbivore Pale Ale. Eat anything good or unique the past week? What is one dish you can eat repeatedly? Next Post Why I stopped eating meat.